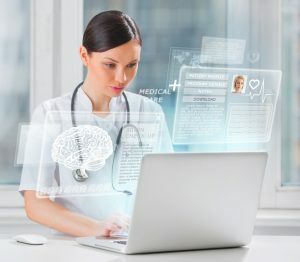 Digital therapeutics, combining remote patient monitoring, behavior modification, wearables, data analytics and related technologies to treat patients with chronic conditions, has been big on promises but short on delivery, despite the best efforts of a number of venture-backed companies in the sector. But that’s about to change and for the better, according to a report from the New York healthcare-focused venture firm Psilos Group. The digital-therapeutics market could jump to $6.8 billion in 2021, 11 times the $599 million of 2016, the report says. To be sure, the projected amount is but a sliver of the $3.25 trillion spent on healthcare in the United States in 2015. But Psilos Managing Partner Joe Riley said the report’s optimism is based on the success of several VC-backed early-stage companies entering the market. Psilos invested in two rounds in eight-year-old Healthmine (formerly SeeChange Health). The Dallas company uses analytics to scour tens of thousands of health-plan medical records, lab reports and wearable devices to track such conditions as abnormal heart rates and high glucose levels. It then suggests treatments. The company claims it’s saved employers more than $100 million to date. Despite such numbers, not all VCs say the market is poised for rapid growth, due to cumbersome federal regulations and approval processes. Robert Mittendorff, an emergency physician and a partner at Norwest Venture Partners, agreed with the Psilos report that the digital-therapeutics sector would continue to expand. But he expects a less accelerated pace. In September 2015, Norwest led a $48 million Series C round in Omada Health, one of the more talked-about startups in the sector. Other firms joining in the third round included Andreessen Horowitz, dRX Capital, GE Ventures, Humana, Provident Health & Services, Rock Health andU.S. Venture Partners. Counselors at the San Francisco startup work with patients to help with such challenges as diet and exercise to mitigate the impact of type 2 diabetes. “Digital therapeutics is happening, and we’re seeing proof that it works,” Mittendorff said. Tom York is a San Diego-based contributor.